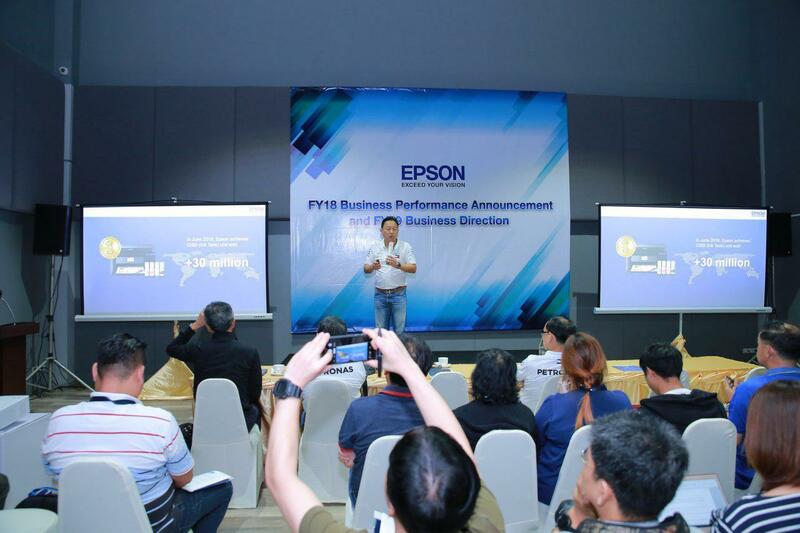 Phnom Penh (FN), Feb. 19 – Epson Thailand starts a new business game as it highlights four key product lines in pursuit of the goal to achieve revenue growth for at least five more years. These four product lines present high-speed inkjet printers, commercial/industrial printers, laser projectors, and robotic arms. 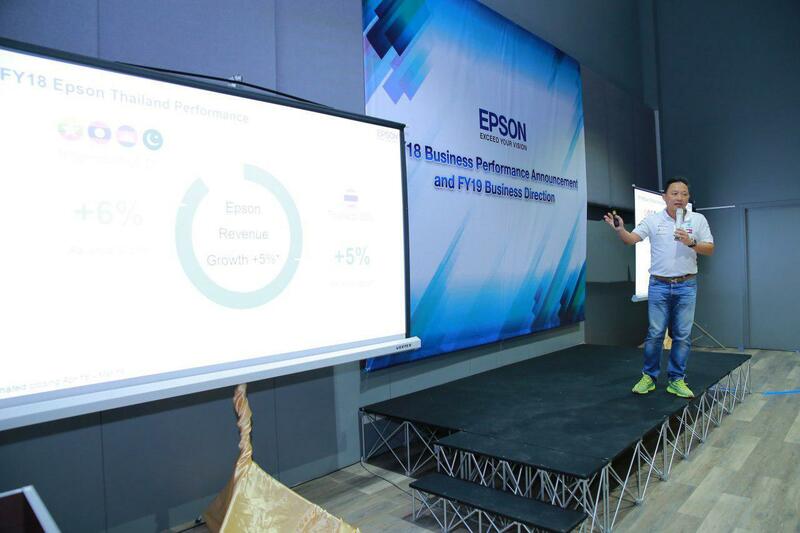 "Epson has enjoyed business growth in the Thai market because of constant technology and product development, which delivers increasingly better-value-for-money to customers. We have launched new products on a continued basis and conducted marketing activities to tap into new market segments. For example, our high-speed printers such as Sure Color F9330 have been now introduced to textile factories. Our high-brightness printers of between 6,000 and 15,000 lumens, meanwhile, have focused on entertainment and outdoor-event businesses. Moreover, we have offered WF-C869R high-speed printer to SMEs too. This printer comes with Epson latest print-head technology, Precision Core, and Replaceable Ink Pack (RIP). Each pack can print up to 86,000 pages,” he added. 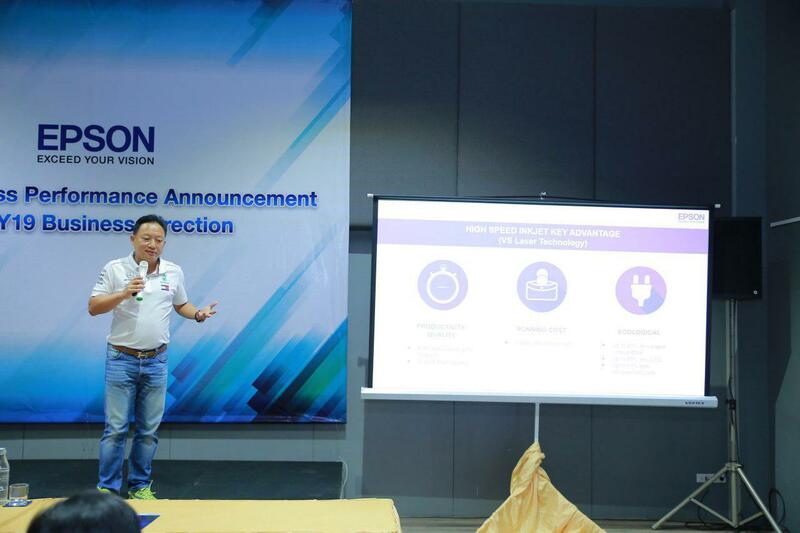 "Epson Thailand has also overseen Epson businesses in many overseas markets namely Myanmar, Cambodia, Laos and Pakistan. On the overall, Epson has achieved six-percent growth in these markets via constant launches of new products. As for inkjet printers or EcoTank, we have offered both L-Series and M-Series so as to present a greater range of alternatives to SOHO (small offices, home offices) and SMEs. In addition, our marketing goes increasingly proactive in our bid to take more customers from laser printers. At the same time, we have already brought high-brightness projectors to target customers in fast expanding show-biz and educational sectors. With durability and better quality as selling points, our projectors have got very good feedback," he continued. Epson high-speed inkjet printers have been developed to a point that they have surpassed laser printers in regards to print quality, energy saving, easy maintenance, money saving and being friendly to both the environment and health. The second group features commercial/industrial printers. 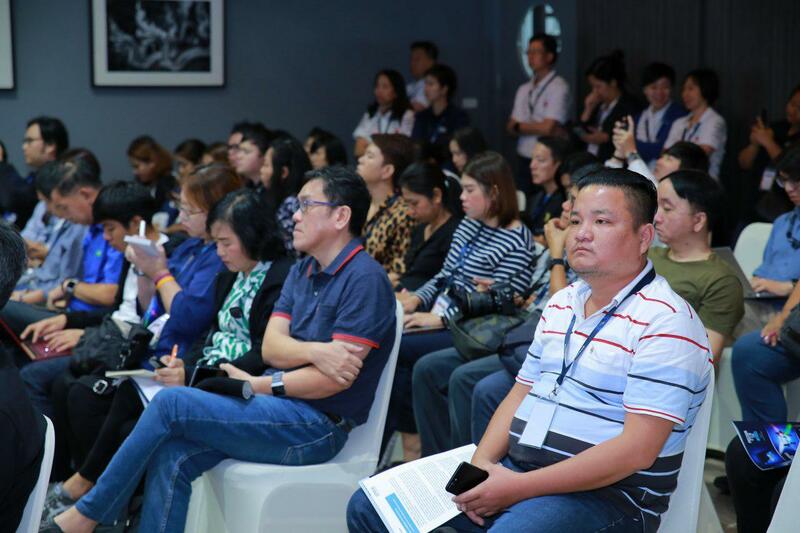 For this group, Epson Thailand is set to launch many more product models for photo mini-labs, textile, or outdoor signage industry. The plan aims at reinvigorating Epson's status as market leader and to fulfill every wish of customers. Opportunities are still ample for products in this group. Among them are Direct-to Fabric (DTF) printers. These devices enable their owners to print textiles on demand. Their ink can work with various types of fabric too. Thanks to such digital printing system, the creation of patterned fabrics requires far less chemicals and generates far less waste when compared with the old way of pattern making. 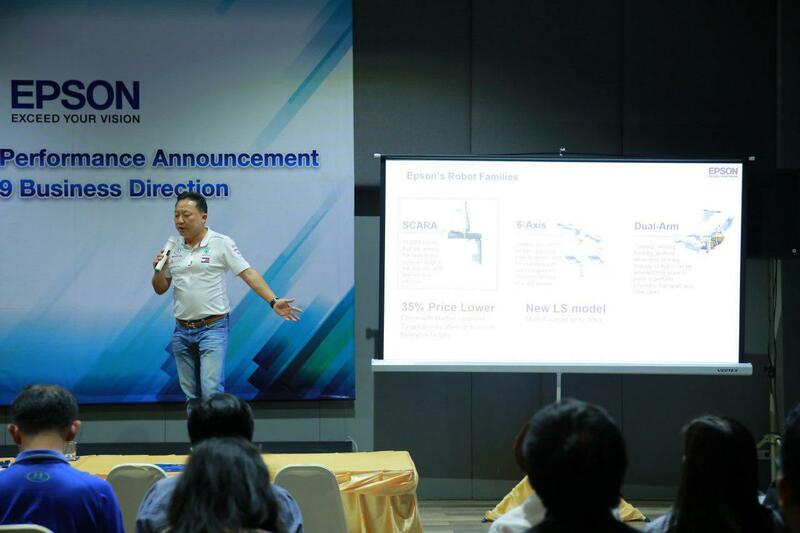 The third product group, which features projectors, will continue to be a key focus of Epson Thailand. This is because Epson still intends to retain its big market share and stay on as the market leader. In one of its latest moves, Epson has recently launched laser projectors with 20,000-lumens brightness and 4K laser projectors. The fourth group presents robotic arms. New imported products for this group will be 35 per cent cheaper than before as Epson seeks to tap deeper into the educational sector and to offer small enterprises opportunities to boost their manufacturing efficiency with robotic arms. In the near future, Epson Thailand will also launch robots that can handle heavier items in their work process. Regarding service strategy, Mr. Yunyong says, “Because after-sales services are important and inseparable from distribution, we have accorded importance to Service Excellence. Our goals are to deliver good customer experiences and high level of customer satisfaction. We have even set up a special unit to monitor and enhance our services. Close monitoring is in place. Faster services will be made available as we aim to ensure that at least 90 per cent of devices submitted are repaired within one to three days. 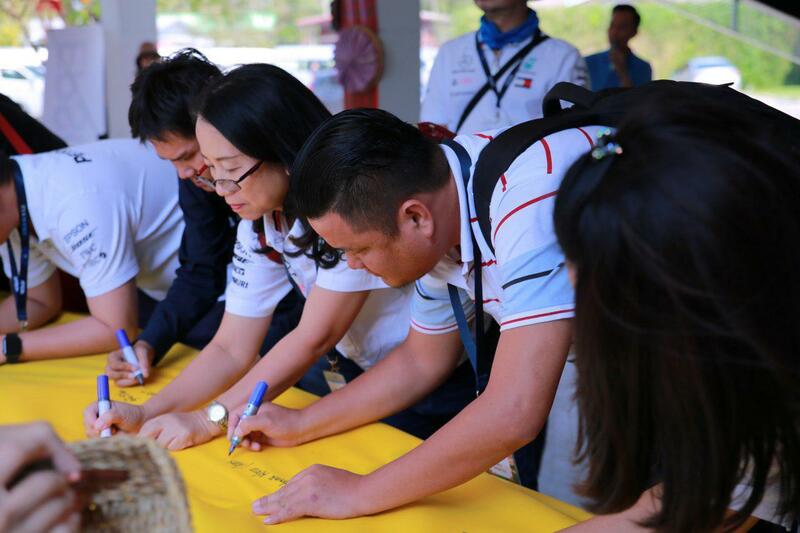 At present, we have 154 service centers across Thailand. However, we intend to raise the number of the centers to 170 so as to increase service coverage areas. Moreover, we will boost the number of drop points in some provinces through collaboration with our business partners. We will develop systems that ensure service management and parts delivery move at a faster pace". "On top of this, we plan to deliver on-site services to corporate customers who buy products from our four key product groups namely high-speed inkjet printers, commercial/industrial printers, high-brightness laser projectors, and robotic arms. On-site services will be delivered nationwide. We will even have a special team to monitor the operations of our products or prepare spare devices for customers to use in events that their products experience any problem," he added. "Epson has also invested further in analytics system. For CRM (customer relationships management), customer information, and insight can be used to improve service systems such as Call Center, product database management and usage, the management of service centers and mobile teams, and even warranty database. The better systems will create good customer experiences in regards to product usage and after-sales services," said Mr. Yunyong. On distribution strategy, Epson will this year increase the number of Epson Authorized Partners (EAPs) to 170 for inkjet printers and projectors, to 13 for commercial/industrial printers and to 10 for robotic arms. The increase will allow Epson to reach out to more customers and tap into new markets. Mr. Yungyong furthered continued that, "After building its success from dot-matrix printers more than 20 years ago, Epson becomes the only brand to have ever enjoyed over-90-per-cent market share. Later on, Epson introduced inkjet printers and 3LCD projectors to the market. These products too have been hugely popular. Then nine years ago, Epson launched the world's first brand-name ink-tank printer. Following that launch, Epson's ink-tank printers have enjoyed immense success. They have effectively replaced cartridge-based inkjet printers and laser printers in several markets. Epson, as a result, has stayed on as the printer leader until today, During the period, Epson has also launched several high-brightness projector models Thanks to their quality projection, durability, cost efficiency and a complete set of functions these devices have solidly won customers' confidence. Epson therefore has been the world's best-selling projector brand for 17 consecutive years already. Today Epson Thailand is stepping into its New S-Curve in a move that promises to spur its growth for at least five more years. The strategy is to create new markets and expand customer bases for the company's four key product lines namely: high-speed inkjet projectors; commercial/industrial printers; high-brightness laser projectors;, and robotic arms. All these four groups present high-value products and solid potential for long-term growth. These products are in high demand across business and industrial sectors". "In the first phase of our New S-Curve development, we expect our business to grow by five per cent in the Thai market and by 10 per cent in overseas markets. In 2019, we will have to closely monitor several factors. In Thailand, we will have to keep close eyes on political development in the post-election period. We also have to monitor external factors such as economic slowdowns in China and the world. The trade war between China and the United States (US) must be watched. As such war rages on the value of currencies become volatile. By the way, there are some favorable factors for business growth too. The government's Thailand 4.0 policy, for example, has spurred the trend of technology-driven transformation in the business sector. Manufacturing technologies and work process are going digital. On the overall, Thai economy is also on the upward trend. At present, many businesses and industries have become increasingly serious about green concept too. 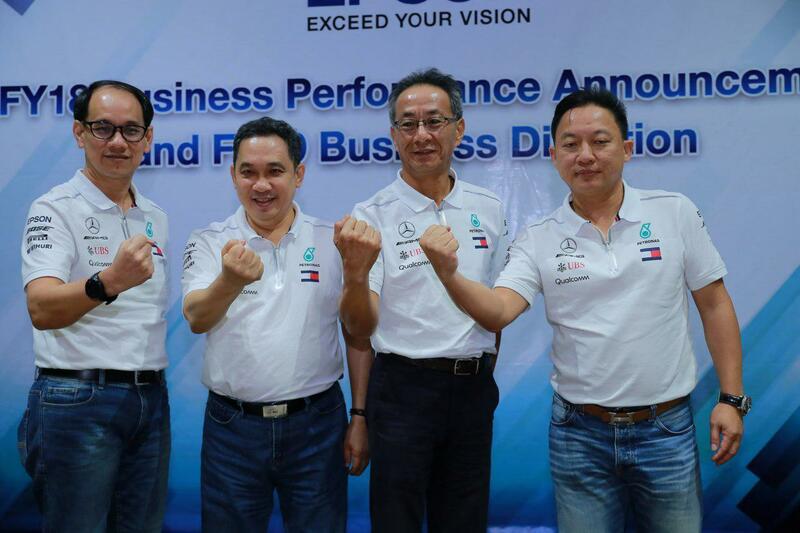 We are thus confident that we will be able to materialize the New S-Curve and achieve continued business growth. Our New S-Curve strategy covers four aspects namely product service, distribution channels and marketing communications". 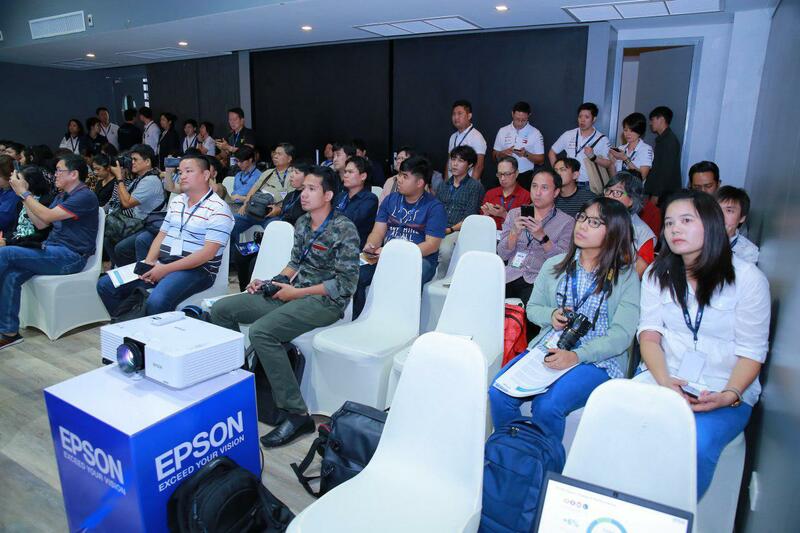 On product, Epson Thailand has planned to actively conduct marketing for four key product groups. The first group features high-speed inkjet printers. Its product line-up will become well complete, with the constant launches of new products. The firm, after all, is determined to ensure that its high-speed inkjet printers can satisfy the needs of enterprises of all sizes from SMEs or SOHO to large corporations. The ultimate goal is to replace laser printers. On marketing communications strategy, Epson has planned to use both online and offline media in a bid to reach each target group in the most efficient manner. Furthermore, the firm will continue to stage Technology Showcases to demonstrate Epson technologies via each key product group and events that can create special customer experiences. These showcases will be held through collaboration between Epson and its partners in both government and private sectors. Last year, Epson joined hands with the provincial government of Sukhothai in organizing the light-and-sound show of Loy Krathong Festival. Epson EB-L25000U, the projector with 25,000 lumens in brightness, played a role in impressive projection-mapping performance there. 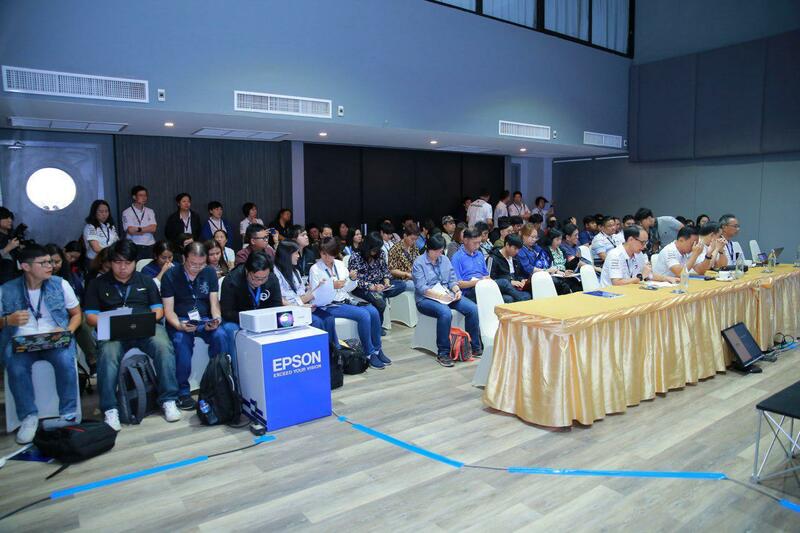 "This year presents a good opportunity for Epson Thailand to build the New S-Curve. We have had a solid range of product lines, each one with many models for effective marketing. As a technology owner, we constantly develop our technologies and thus exceed customer expectations in every aspect. There has been continuity in our product launches. Importantly products in our New S-Curve groups are well-known and well-trusted. Customers in Thailand's various circles and industries have confidence in these products. 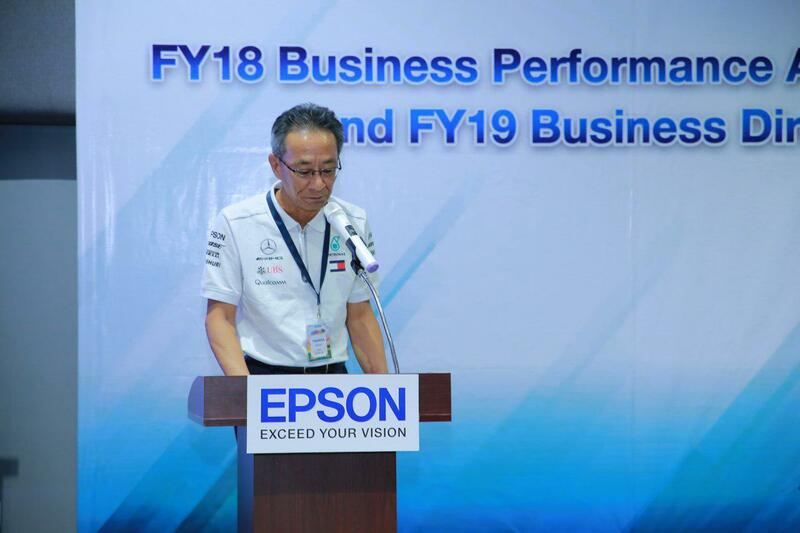 Epson Thailand therefore is confident that the New S-Curve strategy will not only boost business growth for at least five more years but it will also broaden the firm's businesses in Thailand Epson brand itself will shine even more," Mr. Yunyong concluded.